Since I blogged about Easter lilies last year, I couldn't do that again this year! If you are disappointed and want to read about Easter lilies instead, you may do so HERE. 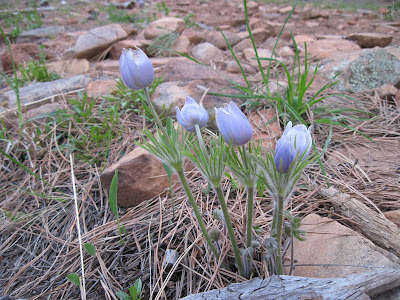 Instead, I figured this year I would blog about Easter's other flower: the pasqueflower. If you speak a language other than English, this flower probably sounds familiar to you as reflecting the time of year; in French, the word for Easter is "paques," in Italian it's "pasqua," in Spanish it's "pascua;" even in Icelandic the word for Easter is "paskar." It's no surprise, then, that the name of these flowers should be reminiscent of Easter not just because of their name, but also because of their flowering time: they are often the first flowers to emerge in temperate prairies around the world. There are about 35 species in the genus, and each one of these species are early flowering right after the snow melts and the temperature of the soil starts to warm up. The pasqueflower, sometimes called the Eastern pasqueflower, is native to a circumboreal area in North America, Europe and Asia; countries that claim this flower to be native there include Canada, the United States, Russia, much of Scandinavia and parts of more southern countries in Europe, Mongolia, and China. This flower is so popular it has even pushed its way into being the provincial flower of Manitoba and the state flower of South Dakota despite its drastically reduced population sizes in both locations. 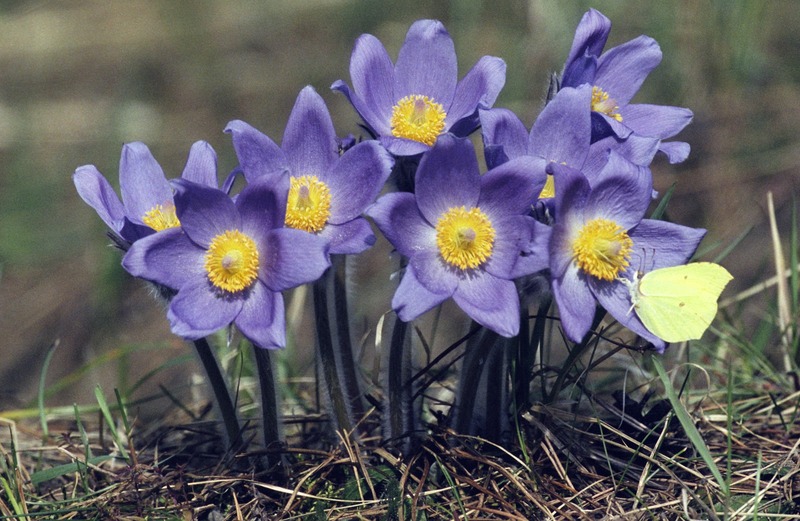 Because of the conversion of prairie habitat to agricultural fields around the world, all of the species of Pulsatilla are now threatened with declining populations (some more drastically and faster than others). There is the idea that prairies can rehabilitate themselves naturally if given enough time and given a jump-start through seed planting. Unfortunately, once the field has been plowed the pasqueflower never comes back; disturbing the rhizomes that the flowers grow from in the spring eliminates the population. They grow very slowly from seed and are very sensitive to disturbance (and are not good competitors with other fast-growing species like goldenrods), so have a very hard time re-establishing themselves after disturbance. If you come across a patch of pasqueflowers this spring, refrain from picking them and (most importantly) don't dig them out of the soil. 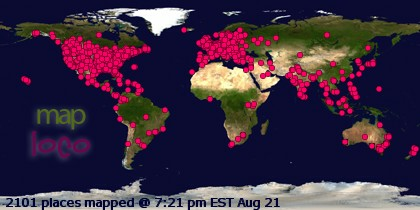 They need as much help as they can get for the remaining areas where they are common. 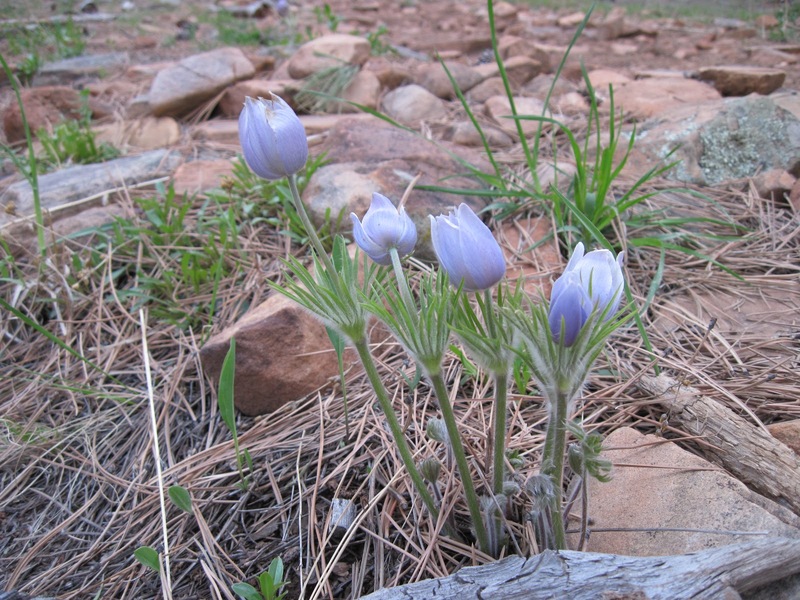 All parts of the pasqueflower (in most, if not all, species) are highly toxic. Consumption of any part of the plant can lead to convulsions, heart attack, coma, and death. Native North Americans used to use this plant as a natural abortion-inducing medicine; this was likely incredibly effective (and is being looked at by the pharmaceutical industry as a "natural" method of inducing labor) due to its toxic properties. It is still a main ingredient in homeopathy, so pregnant women (and those that are lactating) should never take any kind of homeopathic remedy. The extracts of the plant are used in herbal medicine to treat cough, asthma, and as a sedative. Do pineapples grow on trees? If the spines don't get you, the latex will!